I’ve been through so many different parts of Windows 8 now that I think I’ve seen a good part of it. During my use of this new Operating System, I’d been very curious about the new Metro interface. Heck, I’ve even written about it twice. What Metro is not, however, a feature that power users or administrators will love to use. I decided to look a little deeper into Windows 8 to see what kinds of new stuff is there for power users and administrators. Summary: Windows 8 is going to include lots of changes for the power user. In this article I go over some of what I’ve discovered so far. Without the Start Menu, some will want a fast way to get to certain parts of the system (such as adding a computer to a domain, etc.) Windows 8 CP (Consumer Preview) introduces a right-click on the bottom-left hand corner of the screen to access a bunch of simple shortcuts to all sorts of tools. This is great because it’s only one click to get at this list instead of two or more when the Start Menu was involved. One big thank you has to go to Microsoft for placing that “Network Connections” link there. Total time saver. MSConfig and missing startup options. What it has been replaced with has become part of the new Task Manager. You can still get to the Task manager by way of the CTRL+SHIFT+ESC keyboard shortcut from the desktop, and once there – click on the Startup tab to see the applications loading at boot. You’re able to disable them if need be. Truth is though, there is a far better way to do that, by using Autoruns. This certainly has been revamped and has a number of new features. But, what about the old Task Manager? The good news is, that the old Task Manager is still there in the CP (and I suspect will be in the final release). 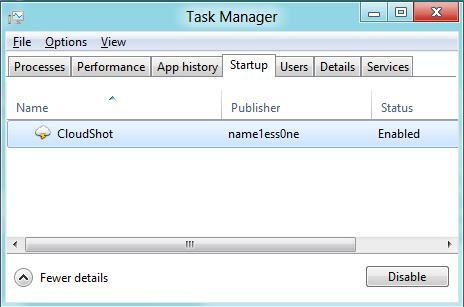 To get the old Task Manager, run “taskmgr” from the Run window. 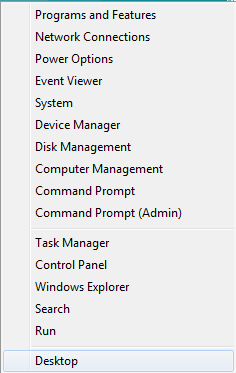 Also, is you want to run the new Task Manager from the command line or Run window, just use “TM” or CTRL+ESC. For the most part, I haven’t seen allot of changes with the Device Manager with the exception of a new tab in most devices. This tab seems to show each event with regards to adding and removing drivers. This is a welcome addition for when you’re trying to troubleshoot that device and you don’t know if the user has tried something first. Also, seeing printers as queues and devices inside of the Device Manager is new too. This is definitely a nice addition when you’re trying to get to the bottom of a user having multiple queues for a single printer. 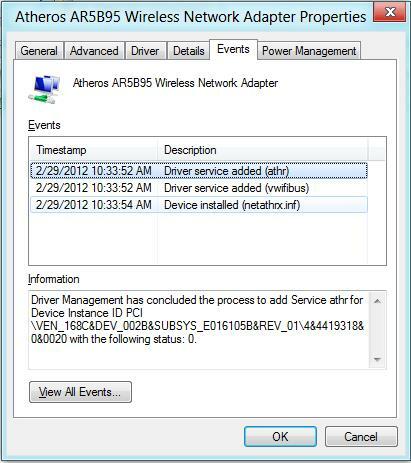 This is exactly the type of information that should be in the Device manager. As you’re aware, compatibility mode in Windows lets you run applications with a number of settings to (hopefully) help them run as if they were running on that Operating System. This, of course, doesn’t always work, but sometimes it’s helpful. Windows 8 introduces a number of changes to the different modes you can run, reducing the list to 9 from Windows 7’s 11 options. it appears as though Microsoft has done quite a bit of work on this part of the operating system and it’ll be interesting to see more about some of these changes (if any). In some ways I think the ribbon will be the bane of a power user’s existence. In other ways, there are certainly some good things here. 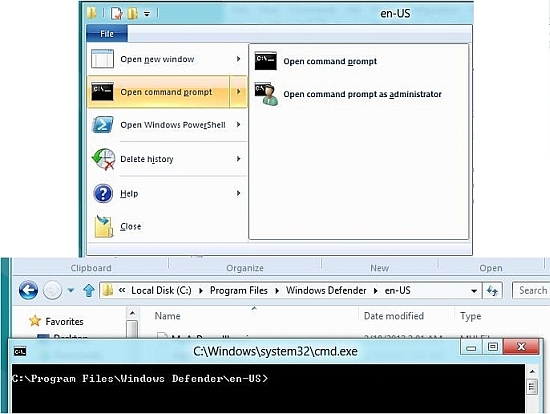 If you’re in a location in Explorer and use the File -> Open Command Prompt – you’ll be taken right to that folder directly in the Command window. You also have the option of doing the same thing with a Powershell prompt. For the longest time, notepad has stayed just the way it has. also, over the years text editors have evolved into virtual powerhouses when it comes to text, hex and code editing. Tools like Notepad++ are a real testament to how useful a good text editor can be. Notepad? it really needs an update. Still the same interface and as far as I can see, the same command line options. The version number also hasn’t changed. Adding support for any of the newer Windows features would be a real bonus for those using robocopy for backups. So, that’s the list for now. I’ll keep looking around and report anything else I find. If it’s true that Microsoft has made 100,000 changes, we’re going to be turning up interesting things for some time.